Have wrinkles become an accepted part of aging? That may be the “common wisdom” on the subject, but there is an alternative to wrinkles, crow’s feet and more. 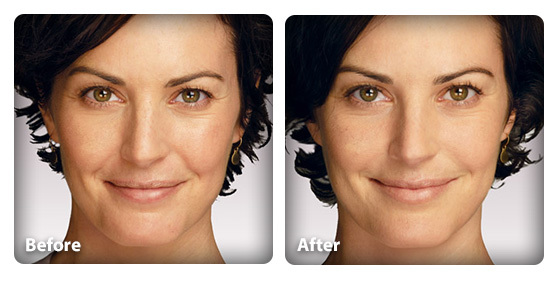 Botox Cosmetic® provides a safe, effective solution for helping you look younger non-surgically. If you’re interested in using Botox® to have the look you’ve always wanted, please call 847-824-3127 or request more information online. In addition to these cosmetic issues, Botox® has also proven effective in treating some medical issues such as migraines, hyperhidrosis (excessive sweat) and some forms of bladder dysfunction. 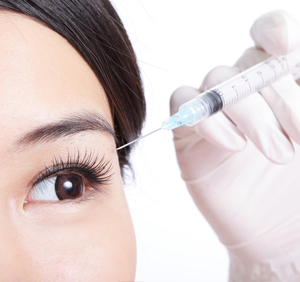 If you’re struggling with wrinkles, eyebrow-lines or even migraines, Botox® may be the solution you need. The non-surgical Botox® procedure is typically performed in a doctor’s office, to ensure maximum comfort. A Botox® session takes only 10 – 15 minutes per injection, with no downtime needed afterward. You can resume your favorite activities and even return to work right away. The result of the treatment is firmer, more youthful skin, along with reduced wrinkles and lines. The effects of Botox Cosmetic® treatment last around four months, and most typically see results within 30 days of receiving treatment. Before & After pictures are provided by the product manufacturer. Results may not occur for all patients. If the cosmetic injections of Botox® are what you need, it’s best to get started right away. To get started on the path toward a happier, more beautiful look please call 847-824-3127 or request more information online. Juvederm XC is a procedure available for smoothing lines and wrinkles on the face. If you're interested in restoring your skin, please call 847-824-3127 or request more information online. Juvederm XC is a smoothing gel that’s injected under the skin. This simple procedure has been approved by the FDA to keep facial lines and wrinkles away for up to one year. Juvederm is best used on moderate to severe facial wrinkles and folds. Juvederm addresses these issues with the use of hyaluronic acid (HA). HA is a hydrating substance that occurs naturally in youthful, healthy skin. As you age, your HA levels decrease, which causes your facial volume to decrease and facial lines to increase. In essence, hyaluronic acid is your skin’s natural moisturizer. What will My Juvederm Appointment be Like? The typical Juvederm XC appointment takes only a few minutes and features almost no downtime. After assessing your skin, your doctor or healthcare professional will administer the injection and your appointment will be complete. Because Juvederm is formulated with a mild anesthetic, most patients require no additional pain relief. After the treatment, as with any injected medication, you may experience mild swelling or irritation. This will take care of itself within a few days. If you're ready to get started on the path toward rejuvenated skin, please call 847-824-3127 or request more information online. Most dermal fillers in use today provide an FDA-approved solution to smoothing out unwanted age lines and adding volume to your features. The procedures incur zero downtime, and their effects can be seen almost immediately. The process is simple. A professional injects a substance into the areas surrounding the nose, mouth, and chin to smooth wrinkles by adding volume beneath the surface of the skin. With Juvéderm® therapy, a colorless gel called hyaluronic acid is injected into the treatment area. Hyaluronic acid is naturally created by the body, and acts as a sponge to absorb water and store it under the skin, lending your face a fuller, youthful appearance. Within the Juvéderm® family of products there are also several options to consider depending on the condition you wish to address. For example, Juvéderm® Ultra Plus is a thicker gel used to fill deeper furrows in the skin, while Juvéderm® Ultra is a thinner solution for smoothing away fine lines. Both options last for up to one year with just a single treatment. Before & After pictures are provided by the product manufacturer. Individual results may vary. Much like Juvederm, Restylane uses hyaluronic acid to reduce wrinkles and folds by adding volume to the skin. It is also effective in enhancing the fullness of your lips and has been FDA approved for the purposes of lip enhancement for patients over the age of 21. The injections will be absorbed naturally by the body over time, but with follow up treatments at 4.5 or 9 months, Restylane results can last up to 18 months. Many women want eyelashes that are longer, fuller and darker. Until recently, the only solution to this problem was costly, inconvenient and sometimes dangerous eyelash extensions. Latisse is an FDA-approved prescription product designed to deliver more visible, longer lashes. Latisse is a topical solution proven to promote the growth of fuller, longer, darker, and thicker eyelashes. Our Latisse patients are typically unhappy with the appearance of eyelashes that are too thin and/or short. For those who suffer from hypotrichosis, a condition associated with inadequate eyelashes, Latisse has been successful at growing new and stronger lashes. Latisse is the first ever FDA approved eyelash treatment that keeps the eyelashes in their growing phase and increases the number of hairs for as long as it is being used. Latisse is applied daily along the upper eyelids only. It generally lasts up to 30 days, if used as recommended. Sterile, one-time-use applicators are provided with the product for patient convenience. Latisse results can be seen within the first four to six weeks, eyelashes will continue to grow for the next eight weeks. In clinical studies 78% of patients experienced a significant increase in overall lash prominence. Our top priority is the safety and well-being of our patients. If interested in Latisse we will bring you in for a full eye health exam prior to filling a prescription. At Week 0: Self-treatment treatment begins. No results will be visible during this phase. At Week 4: Increased eyelash length may start to appear. At Week 8: Most Latisse users begin to notice increased fullness and darkness, in addition to the boosted length. At Week 12: Enhanced eyelashes are more visible. At Week 16: The full, dramatic results of Latisse are present.